Inductors are just coils of wires and are commonly used in filter circuits. The value of an inductor is measued in Henrys the marking is similar to that on a disc ceramic capacitor. There are three digits: the first two digits are followed by the number of 0s, the value is in mH. You can wind your own inductor. 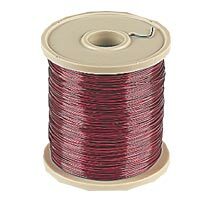 Inductors are usually wound using enamelled copper wire - enamelled copper wire comes in different diameters, thick wire has a low resistance which is good for inductors but takes up a lot of space. The enamel is a varnish which insulates the wire and stops short circuits when the wires touch, the enamel needs to be removed at the ends to make a connection, this can be done with emery cloth or sandpaper. 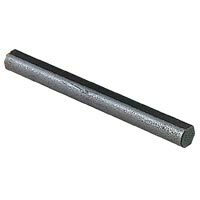 Inductors are usually wound on ferrite rods which give a reasonably large inductance for not too many turns. These are made by Amidon. You can check the value of your inductor with an inductance meter after you have wound it, add more turns to increase the inductance, take off turns to reduce the inductance.